New Bohemian Treasures Coming Soon! I happened upon a cache of treasures while sourcing for the SHOP today! 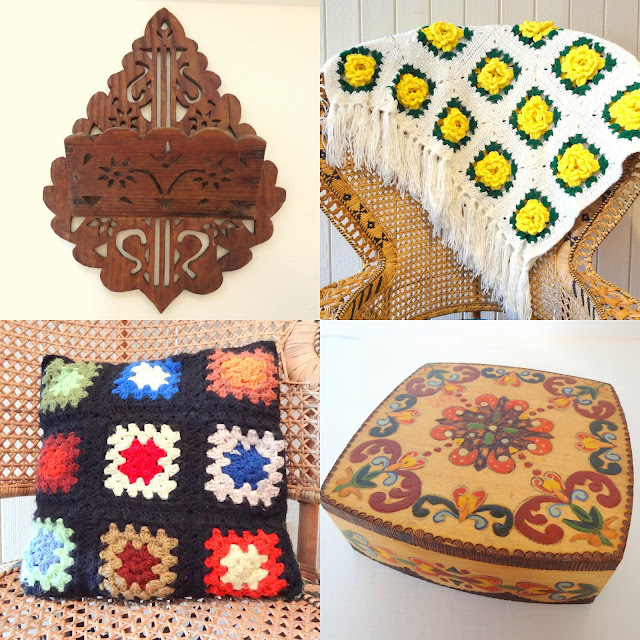 A seriously amazing round up of vintage, hippie, global goodies for your wardrobe and casa! Keep your eyes peeled for the new listings coming early this week! 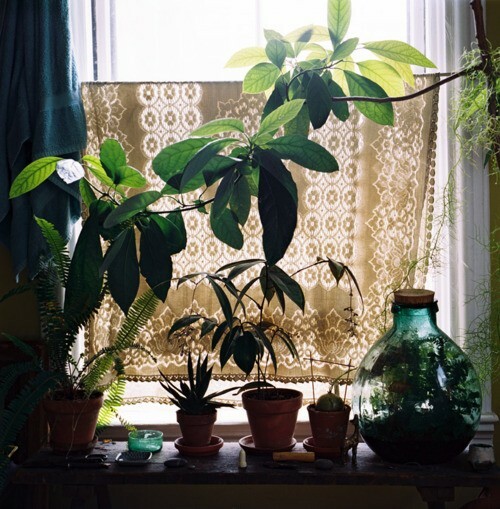 Tablecloth On The Window? Why Not! 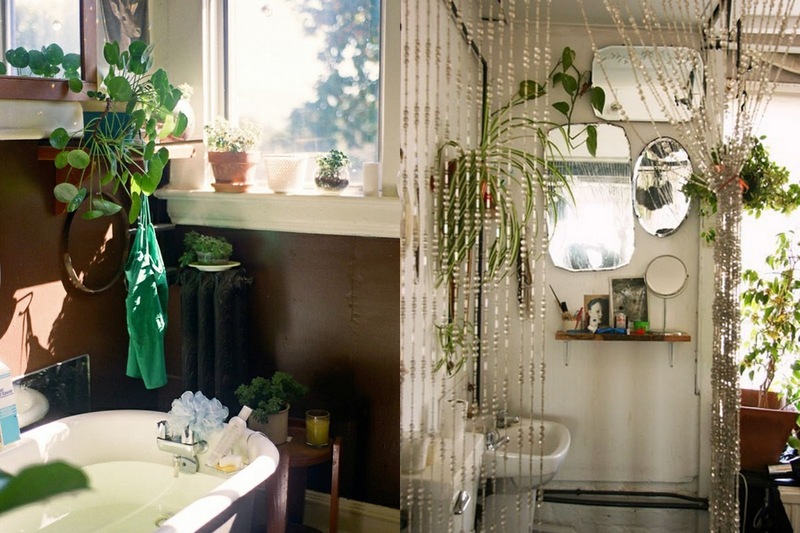 I saw this first image when I was cruising around Pinterest the other day and fell in love. It's such a simple idea, yet so beautiful. 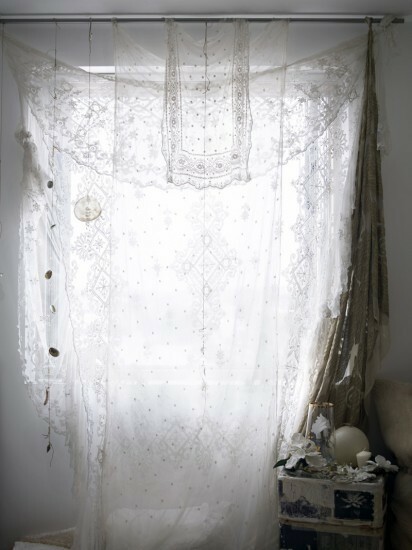 All you need is a tension rod and a lace tablecloth and viola! 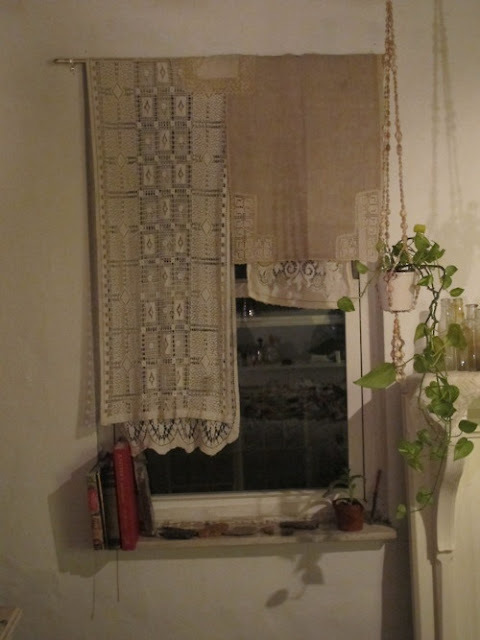 Instant bohemian window treatment without all the finicky curtain rods, drilling and measuring. Tack em up there or drape several bits together over a rod, there's no wrong way to do it. It's just the right amount of coverage...letting light in but keeping your windows from looking naked. I'm definitely going to be employing this look in my guest room. Cute! I've been Feelin' the Folk lately and it's showing in my ETSY SHOP. 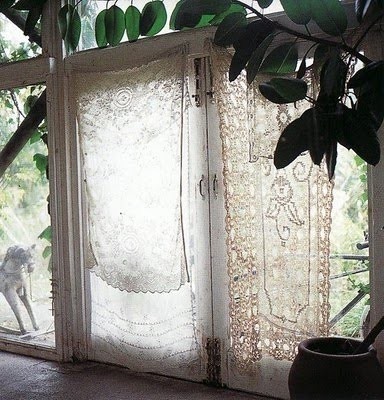 I'm all about the handmade whether it be Granny Chic crochet, hippie handcrafts or handmade global artisan pieces. Things that people poured their heart and soul into just speak to me. Ya know what I'm sayin? from New Orleans, our new place now has 2 1/2 bathrooms (I know the Luxury right?). Quite a departure from the historic homes I usually gravitate towards. So now I have to decorate 3 spaces instead of one (poor me). the bathrooms are beige boxes with no windows and zero character. Blech. The photos below are of my bath in Nola, so much light and vintage details...Easy to work with. By the time I left it was a jungle in there, like a soothing outdoors spa-like experience. So you see my frustration. It's proving to be difficult recreating the same feel. The photos above are my inspiration for the new rooms. The first two are ideas for the guest room, hippie and fresh. 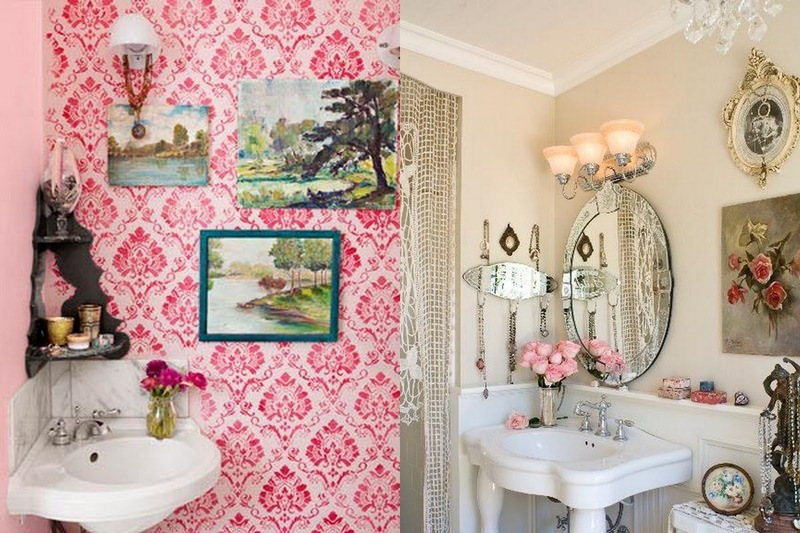 (a little romantic and vintage with a nod to New Orleans). 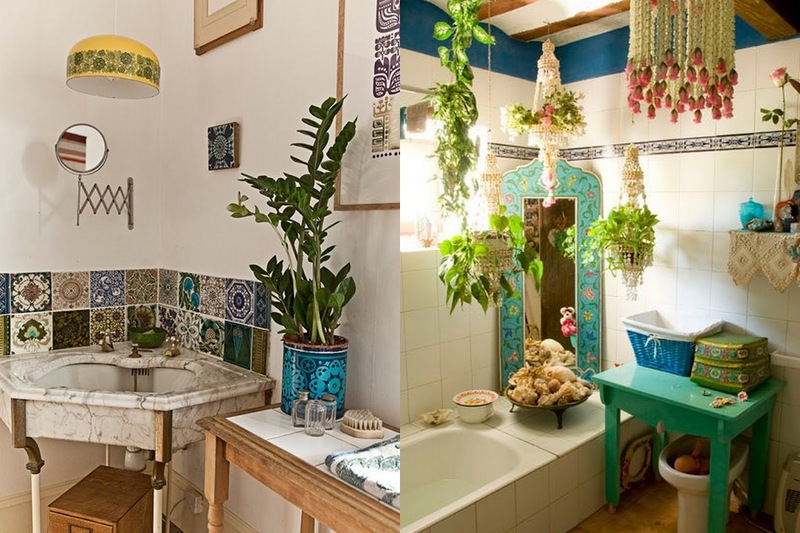 The last two are ideas for the main bath downstairs, greens and blues with some global touches. That all may get scrambled but I hope to end with something I love. Oh! And P.S. I plan on posting some pictures of the finished spaces-so stay tuned!